The Super Snoopers is devoted to helping children discover how to intentionally navigate scripture in order to find help, inspiration and wisdom for living a positive life. Various Snooper resources are available through Storm Warriors International, Inc., a not-for-profit private foundation, and is one of its ongoing worldwide initiatives. I was in my early twenties, working in Hollywood as a studio manager for a company that really wasn’t succeeding. Although I worked most of the time and was surrounded by folks with the same aspirations as my own, I was unhappy. In some ways, I had everything around me that I had sought and worked for – minus the fat bankroll, of course. I realized that despite having come to the place I had been chasing, I lacked any sense of abiding fulfillment. There remained a hole in my soul. A vacuum of a kind. I remember the evening I broke down living in an apartment in the San Fernando Valley, wondering if I could ever be happy again. I tried to remember the last time I had been. That question brought me all the way back to my childhood. I recalled there had been something in my life that I had long since abandoned. My faith. Somewhere along the way it had become irrelevant, nothing more than some early childhood residual from well-meaning parents, a kind aunt and a very prayerful grandmother. So, I had ditched it. But at this later time I wondered if I could return to that long ago place of contentment and joy. The next day, I walked into a large bookstore that I had passed en route to work for the past two years and I found two books that offered promises of hope on their cover copy. One book was called Peace With God by Billy Graham and the other was a book about How to be led by the Spirit with a picture of a white dove on the cover. I liked the picture. The books stirred my hopes. Soon afterward, I began attending a local church and found my soul being increasingly comforted and encouraged. This was the beginning of changes in my life that would take me out of Hollywood for a long season but would eventually return me to media with a clearer sense of what and why to create. For me, at its highest execution, art has become something that stirs and awakens things within us that have since fallen asleep or may very much be awake yet desire fuller expression, validation or ongoing ingenuous experience. As a result, I found a new purpose and felt energized to devote myself to meaningful media. In some places, I sought (and continue to seek) to touch as wide ranging an audience as possible. This has been difficult. It requires effort and craft much different from simply drafting didactic, black-and-white platitudes as if one were bent on force feeding vegetables to guests. No. The journey to creating relevant, substantive, engaging and meaningful media relentlessly demands tasks, strategies, skills, talent and tactics that more often than not, open my eyes to my limitations and constant need for effort, growth and refinement. It’s a journey that continues today, of course. But in one particular case – The Super Snoopers – I cared about one kind of audience. Overwhelmed Children. Accurate or not, I imagined I could see myself in all children. Reflecting on my younger years, I remembered being confounded by the difficulties of life and not knowing how best to respond, manage or cope. I also realized that as I had grown older, I had made some regrettable choices that ultimately caused pain – to me and to others. Life got harder. But once I had confronted these things within myself and chose to give my faith a second try, I at last opened up the pages of a tattered bible that I had been carrying with me for years. Up until that point, I had never really read it. It wasn’t tattered because I had laboriously poured over its contents. The household pet of my childhood, Buttons, had chewed it up making it appear well-read and impressively worn. I had been carrying it as a type of rabbit’s foot. I would pack it in my luggage perchance it might keep the contents safe from unscrupulous baggage handlers. I would put it on the nightstand in my hotel room to ward off any night burglars while I slept in strange cities. But I almost never opened it. Oh, I would occasionally try but those encounters were momentary at best. When you open the bible randomly, you will most likely end up in the old testament. It seemed that whenever I did open the book I was in some violent passage, either with a tent peg being thrust through someone’s head or some other outrageous, murderous act. God seemed very threatening – and moody. This supposed book of His wasn’t relevant to anything I was going through. Not that I could see. However, when I found myself lost in Hollywood and slowly returning to my roots, and with the help of a few good teachers, my eyes seemed almost magically opened to passages I had never known were in there. The thing that struck me most was that these newly discovered passages had been in there all along – in my suitcase, on my nightstand, or otherwise close by and available. These very passages contained helpful insight and inspiring wisdom about lifestyle and character, meaning and purpose. If I had discovered them earlier, it might have been that I would not have made many of the choices I had actually made. My experiences – and the pain those experiences caused – could have been different. Some of the struggles and certainly the further complications of others – might have been minimized, possibly avoided. It was all there in the book, an arm’s length away, yet I had never known it until much later in life. I had reaped consequences when there could have been benefits. Eventually, this sort of thinking led me to my first notions of The Super Snoopers. That was in 1999. What if I could help children find such inspiration and encouragement earlier, rather than later in life? As I cogitated these things and put my pen to paper, an idea began to emerge. Children face daunting challenges each day and many times feel overwhelmed or confounded by the things they experience, or even find themselves doing. This is a natural part of growth and development, of course, but that doesn’t mean children won’t benefit from, don’t need or don’t want encouragement, or support, or instruction. They do. It was for this purpose and with such beliefs that The Super Snoopers was originally created. It went through the usual transformations and phases and stages, financial structures and multiple approaches that most visionary works attempt as they stretch and grow to find their model, and was at one time completely shut down and written off. A bankrupt, discontinued and buried enterprise. But in 2009, the project was resurrected, redesigned and recreated by me, and at last found its way to its most appropriate iteration – an initiative of a private foundation whose projects include an ever-growing library of inspirational resources for children. It remains the hope of the leaders and operators of the Storm Warriors organization that through the provision of such resources, children around the globe will discover how to intentionally navigate the scriptures and find hope, help, inspiration and meaningful wisdom for a positive life. I am approached from time to time by Storm Warriors to contribute new and original creative content, which I am most honored to provide. Long live The Super Snoopers. Vivamus tempus est libero, ac lobortis odio hendrerit in. In eu odio ac dui congue fringilla sed vitae metus. Donec molestie neque quis quam tristique, volutpat tempor arcu iaculis. Donec iaculis tempus porttitor. Quisque convallis purus nec purus tempor elementum. Quisque commodo ante in rutrum accumsan. Nullam fermentum arcu magna. Interdum et malesuada fames ac ante ipsum primis in faucibus. Aenean pellentesque mi ac ipsum scelerisque, et dapibus turpis laoreet. In hac habitasse platea dictumst. In aliquam sagittis sem, non auctor libero mattis vel. Duis ut tincidunt arcu. Aliquam iaculis vitae orci non sollicitudin. Vivamus eget diam ut risus dictum mattis. 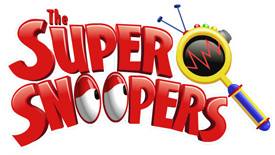 Click here to visit the Super Snoopers website for kids.